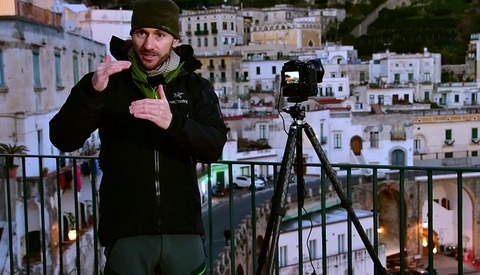 We are now up to episode 10 in our behind-the-scenes adventures with Elia Locardi. After photographing some of the most beautiful locations in Italy, it was time to travel from Europe to the Middle East. For the next part of “Photographing the World,” we wanted to capture images of one of the most modern cities in the world: Dubai. As you will see in this episode, Dubai has some of the most ridiculous yet awesome activities out in the desert. Dubai is one of the most interesting cities I have ever been able to experience. My first time in Dubai was in 2013 when Fstoppers attended one of the biggest photo conventions in the world, Gulf Photo Plus. We made a pretty inspiring video last time we visited but because of the busy schedule, we actually didn't get to experience a lot of what Dubai had to offer. This time around, Lee and I decided we wouldn't leave any stone unturned. 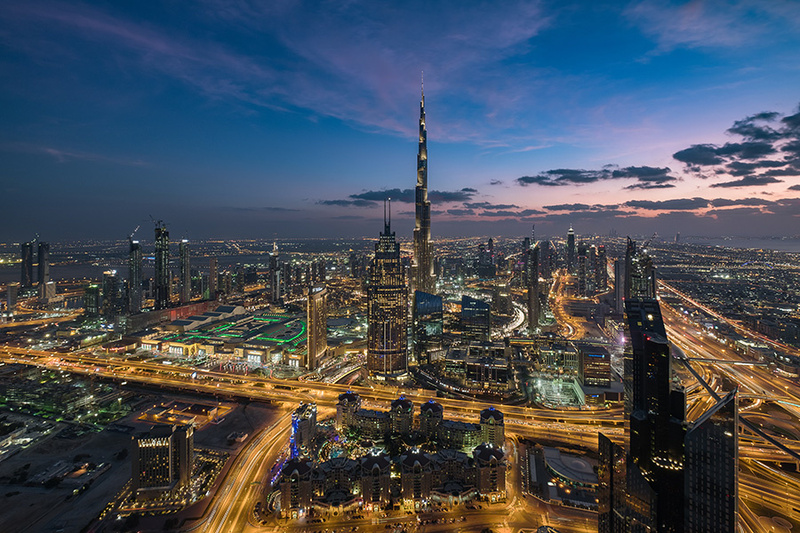 Who knows, maybe we even would be able to convince Elia Locardi to finally go sky diving at Sky Dive Dubai. The first place I would recommend anyone visiting when they arrive in Dubai is the Dubai Mall. Yes, it is a huge shopping mall, and yes it is super touristy, but it's one of the most spectacular buildings I have ever witnessed. The Dubai Mall is the largest mall in the world by total area and has close to 100 million visitors every year. It has all kinds of crazy things like one of the largest plexiglass fish tanks in the world, more food courts than I can count, an ice skating ring, multiple movie theaters, over 120 restaurants, and a water fountain show that makes the Las Vegas Bellagio look like a sprinkler system. The entire mall is also built around the base of the Burj Kalifa, the tallest building in the world so it has that going for it as well. The next stop was another shopping mall called the Mall of the Emirates. I might actually like the vibe of this mall better than the Mall of Dubai but it is still completely over the top compared to normal shopping malls you've probably been to. The biggest attraction at the Mall of the Emirates is by far the indoor ski slope. Yes, in one of the hottest parts of the world, they have actually built an 85 meter indoor snow ski mountain. Not only can you ski in this mall but you can also bobsled, zipline, and roll down a hill inside your own blowup balloon. What seemed to be a pretty novice idea at first actually turned into a very enjoyable experience. At the end of our ski excursion we were then able to have an interesting penguin experience. Nothing says “save the penguins” quite like rehabilitating them in one of the hottest parts of the world. But hey, that's Dubai in a nutshell. 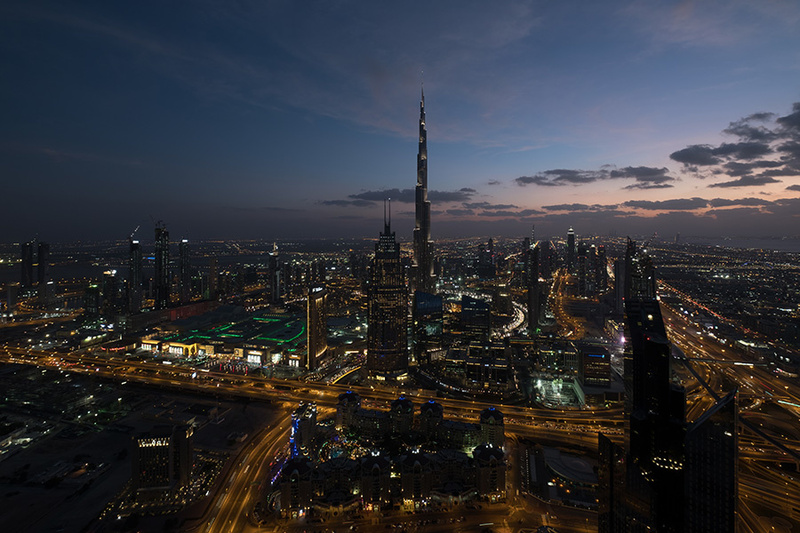 The interesting thing about a city like Dubai is that not only are there so many interesting locations to shoot from to capture the city but because of the massive amount of growth the city is experiencing, your photos will look very different year by year. Some of the world's largest buildings are being constructed on such a fast pace that one view you might have had one year can be completely obstructed a few years later. This gives you a chance to find unique and interesting spots to place your tripod in order to capture and image no one else has ever taken before. 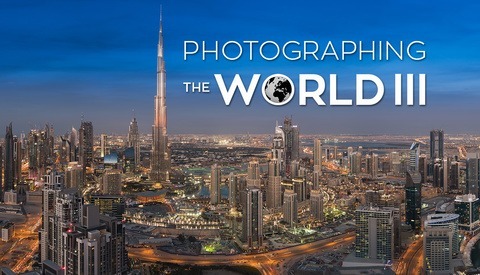 In the next episode of “Photographing the World” behind the scenes, we explore a few more rooftops and high rise vantage points in the quest to find the perfect image of Dubai. 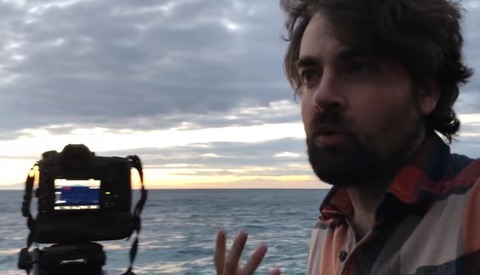 Make sure you subscribe to your YouTube Channel and head over the the “Photographing the World” playlist to view every video in this behind-the-scenes journey. oh man, this behind the scenes is the best ever. Hilarious. Great stuff! Does the Dubai Mall have a Hooters Restaurant? They have a TGIF, which I haven't seen in a long while. LOVE your video. LOVE your content. Have bought more than one tutorial over the years from one account or another. I’m personally not happy with the penguin pictures. Not trying to be the fun police (I realize I’ve been drawn into a few PC arguments lately on here - but that’s not me). Just asking that you think about the ramifications of what you were doing and where you were doing it. And together what that means. Keep up the great work. If I’ve left a sour taste, I’d be happy to discuss. Thanks for all of your support! I too am happy to discuss it. Inside Ski Dubai is a penguin "zoo" of sorts where they take in injured penguins (from other countries) and they breed penguins and study them. We paid extra for the penguin experience and got to see the penguins living conditions and speak with the handlers. We got to touch 2 penguins that were used to being handled by humans. They explained that some penguins interact well with humans and some act nervous. The nervous penguins are never forced to interact with people. The two penguins we got to touch were incredibly smart and seemed genuinely excited to see us, just like my dog is when a guest comes over. I am an animal lover. I have stopped eating meat because I can't honestly say that I would be willing to kill a chicken or a cow myself to eat it when there is an abundance of non-meat items for me to eat. I also struggle to put animals on a hierarchy of value and importance based on how foreign they are or how cute they are. For example I love my dog, and I would never do anything to hurt him, but when I would eat meat, I would eat a burger without giving a single thought to the life and death of the cow I was consuming. I found that I was being extremely hypocritical. Anyway, I could go much deeper into this but I will instead just say this; If you are a vegan and you don't want to force animals to do anything against their will for the sake of humans, I can totally respect that. But, these were very happy and well cared for penguins. Endlessly better taken care of than the most humanely raised cattle in this country, and the money generated from this "zoo" has been used to improve the penguin population and safety around the world. 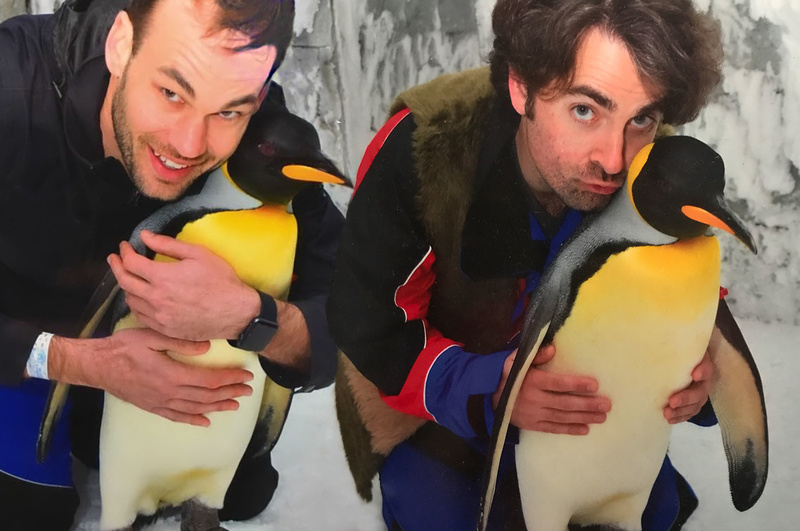 I am constantly enraged by the treatment of animals in this country and around the world, but in this moment, it felt like a really high-end zoo with some really happy penguins. Thank you for taking the time to respond in a thoughtful way. As always, you guys are a class act. In full disclosure, I'm constantly switching to and falling off the vegetarian / vegan wagon. Although you're not saying that, directly, I do find, and chide myself, for being a hypocrite. I admire that you've stopped eating meat based on a moral view. Most people don't seem to believe in ANYTHING enough to take a stand. I'm also of two minds when it comes to zoos. On one hand, there is the promise that the next researcher or champion may be born visiting a zoo with their parents one day. That the majesty of the animals seen at the zoo may encourage better behaviour from the attendees. That money spent on tickets (and other tax breaks) help to fund research that may stave off extinction for the odd species or two. On the other, despite their best intentions, zoos more often than not, fail. Hard. It's a very tough decision to make. Also, I've travelled literally to the ends of the earth to see animals. I've even found my way to Rwanda and sat with habituated gorillas. Perhaps the difference between your penguins and my gorillas is negligible. I'm not sure. Thinking about it longer (thanks to your response), what I don't like about the touch and feel aspect is the precedent it sets. Especially in a country like Dubai, where people collect tigers and rhino horns. It makes petting wild animals a thing. Again, I'm not sure, but perhaps travelling like I do to see these animals is just the same. All that being said, again, thank you for your reasoned response. I appreciate the chance to discuss it. I think we both agree with each other. I too have been vegetarian for months and then fallen off the wagon. It's been about 6 months for me this time but I don't know if I'll continue the rest of my life. I imagine it will be extremely hard the next time I travel with Elia. A few years ago I went to Atlantis in the Bahamas and had the dolphin experience there. That seemed far more sad and abusive than the penguins in Dubai. The Dolphins really did feel like slaves that were forced to push humans around on boogie boards against their will. The Penguins had playgrounds made of ice and they seemed to be loving life. All of this could be made up in my mind but that is the way I perceived it.